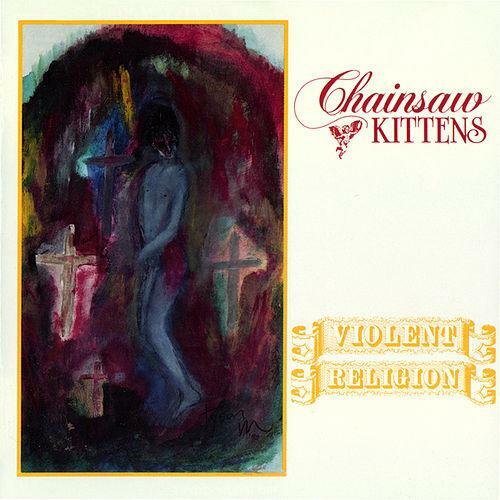 Founded in Norman in 1989, Chainsaw Kittens sunk their claws into the alternative rock scene long before bands like Nirvana and The Smashing Pumpkins became mainstream. 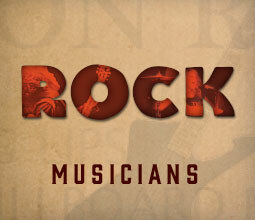 Formed by Osage County native Tyson Meade, the band has been called the best-kept secret in rock music. Following his high school graduation from College High School in Bartlesville, Tyson Meade’s first band - Defenestration - landed a record deal, but the band eventually split up due to artistic differences. Meade packed it in, headed to Norman and took a job working at Shadowplay Records where he met customer Trent Bell, who informed Meade that a local high school band was kicking out their singer. Although Meade thought it was a bit ridiculous, he along with bass guitarist Kevin McElhaney, drummer Ted Leader and guitarist Mark Metzger (and later guitarist Trent Bell) began to practice together and one month later Chainsaw Kittens were born. "Most of the members were real young, like kittens, and we had this sort of chainsaw guitar sound, so the name kind of described us,” Meade said in a Westword interview. Just one short month after forming, the band cut their first demo. A month after that, they caught the attention of North Carolina-based Mammoth Records and signed a record deal, which led to their first album, Violent Religion. Recorded in fellow Oklahoman Leon Russell’s famous Church Studio in Tulsa, the debut album was released to critical acclaim. Tyson Meade described it best. “We rammed 50s guitar licks into 60s power pop colliding into 70s glam and punk and more glam and then pureed it in a blender and we had our sound,” he said. With their distinctive chainsaw guitar sound, catchy tunes and flamboyant stage presence, the band continued to draw attention - but not always in the way they wanted. Before too long, they started getting harassed and decided to scrap the so-called “thrift-store transvestism” when it began to overshadow the music. Regardless of what they wore, the band kept right on performing and producing quality material, which gathered praise from the likes of Butch Vig and Billy Corgan. "We rammed 50s guitar licks into 60s power pop colliding into 70s glam and punk and more glam and then pureed it in a blender and we had our sound." 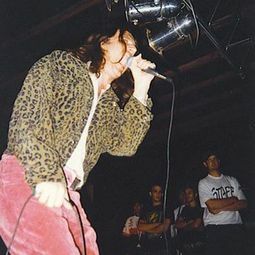 With hits like “High in High School” and “Connie, I’ve Found the Door” on their 1992 album, Flipped Out in Singapore, the band’s fan base grew even larger. In fact, the music video for "High in High School" was Spike Jonze's directorial debut. There were a few changes in the line-up for their 1993 EP, Angel on the Range. Namely, Meade and Bell were joined by bassist Matt Johnson and drummer Eric Harmon right around the same time that Mammoth and Atlantic Records solidified their joint venture. In anticipation of their big break into the mainstream, Chainsaw Kittens released Pop Heiress produced by John Agnello. While music critics and fans in-the-know remained loyal to Chainsaw Kittens, the band didn’t take off as expected. Instead, the band regrouped and spent the next two years on their self-titled album, which was also known as "Speedway Oklahoma.” Unlike their previous albums, this was released with Scratchie Records, an independent label. Up to this point, Chainsaw Kittens had been releasing a new album every two years. After the switch to a new record label and limited commercial success, the Kittens went on hiatus to pursue other ventures before returning in 2000 with their final album Four Alarm with The All-American. 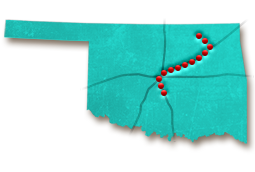 Although the band hasn’t released another album since then, they did reunite for a performance at the 2008 Norman Music Festival in the same city where it all began nearly 20 years earlier. Even though the band has been on pause since 2008, both Meade and Bell still have deep roots in the music industry. Bell now owns Bell Labs Recording Studio in Norman, while Meade has gone on to release three full-length solo albums and can be spotted performing occasionally at The Opolis in Norman and H&8th in OKC. His next album, "Robbing the Nuclear Family," is set to debut in 2017. Often dubbed the “Godfather of Alternative Rock Music,” Meade also resides across the street from Flaming Lips lead singer Wayne Coyne in Oklahoma City. Not only have Chainsaw Kittens spent plenty of time onstage, but they’ve also graced the big screen. In the 1995 film Empire Records, the character Mark is wearing a Chainsaw Kittens T-shirt throughout the movie. In addition, their song “She Gets” is featured on the 2006 movie Bug starring Ashley Judd. When he’s not busy in the music scene, Tyson Meade likes to spend time painting and showing his modern abstract expressionism artwork, supporting young Oklahoma musicians, going to art festivals, searching the racks at Guestroom Records and shopping at places like Bad Granny’s Bazaar in Oklahoma City and Dwelling Spaces in Tulsa. 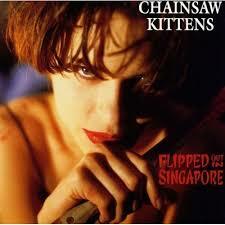 The Chainsaw Kittens self-titled album is also known under what name?